MMPL is a leading Wholesaler / Distributors, Exporter, Suppliers, Trader and Manufacturer having turnover more than 250 Crore (US $ 36 Million). 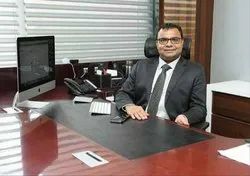 Ever since its inception, Managing Director, Jagdish Thakkar, has had a clear vision of creating a company which will provide world class raw materials to the manufacturers of PVC, cPVC, Polymers, food and construction chemicals industries. With this vision and constant effort, the company has been able to develop a strong customer base in India & abroad. MMPL has strong relationship with reputed global suppliers for sourcing of these products, who are known for their quality & commitments. MMPL offer this product as per customer’s requirements, we structure supply chain and transport to help and suit to customer’s requirement. Our dedicated team of professional is always to provide technical support, if require with the help of suppliers, we share market intelligence, our experience and do everything for high level of customer service. MMPL is one stop shop for requirement with high customers’ service and satisfaction levels. MMPL actively participates in trade and fair shows organized at domestic and globally to understand customer's requirements, introduce our new product and technical supports in their product rang. Mr. Jagdish Thakkar, The Founder and Managing Director, has played a key role in foundation and development of the company. His rich experience of more than 26 years in PVC Industry has helped the company throughout its journey. 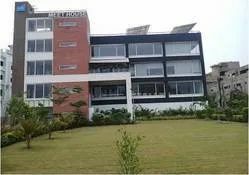 The phenomenal growth of the company is due to his vision of providing best quality products at competitive prices, technical support and hassle free deliveries to the customers. MMPL was established in the year 1997. Since then the company has made continuous efforts to make its presence known around the global. The extensive Marketing and Distribution network has uplifted the company and helped it to build good relations with its customers. Strong leadership, commitment and positive environment have supported the company believes in achieving the target in harmony. With the dynamic change in the market, MMPL has facilitated itself with latest technology which helps it to achieve higher level in businesses. Our dedicated team of professional is always to provide technical support, if require with the help of suppliers, we share market intelligence, our experience and do everything for high level of customer service. MMPL offer this product as per customers’ requirements, we structure supply chain and transport to help and suit to customers’ requirement. Our dedicated team of professional is always to provide technical support, if require with the help of suppliers, we share market intelligence, our experience and do everything for high level of customer service. MMPL is one stop shop for requirement with high customers’ service and satisfaction levels. · ALSTONE INDUSTRIES PVT LTD.
· FALCON PIPES PVT. LTD.
We are more than just a sales company & one stop solution for our customers. We offer technical assistance through our extensive technical background. We develop tailor made formulations; provide customized solutions - done by R&D technicians in our fully equipped application lab. We excel in customer support services and finer imminent. To fulfill commitment and deliver high quality products. Constant innovation, creativity and drive towards excellence. Team work, transparency and dedication. Believe in social responsibility and ethics. Our clear values inspire us for better tomorrow and reach goals. We are providing best quality products to our customers as these products are composed by considering only optimum grade ingredients in adherence to the set industry parameters at vendor end. 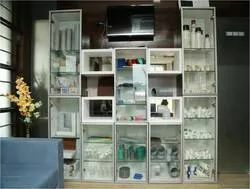 Also these products are inspected for the quality by best quality experts against the numerous quality parameters. We assure safe delivery of the offered products with quality assured packaging options. We are dealing in these Brands. 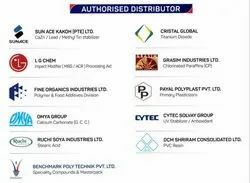 “To be the most trusted, technically proven & customer friendly organization in the PVC, cPVC, Food Additives and Construction Chemical across India"
We extend our gratitude to all our valued partners for extending their support our ending journey of mutual growth.